Established in 1965, Stockmart Plastics is a family run business providing kitchen worktops to both trade and retail customers in and around the Portsmouth area. 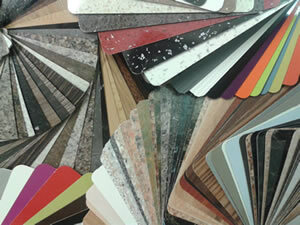 We offer a supply and fit service, supply only or we can machine your worktops for you to fit. We also sell laminated plastics and have a laminate bonding service. Bank Holiday Closing - We will be closed on Friday and Saturday of all Bank Holiday weekends.